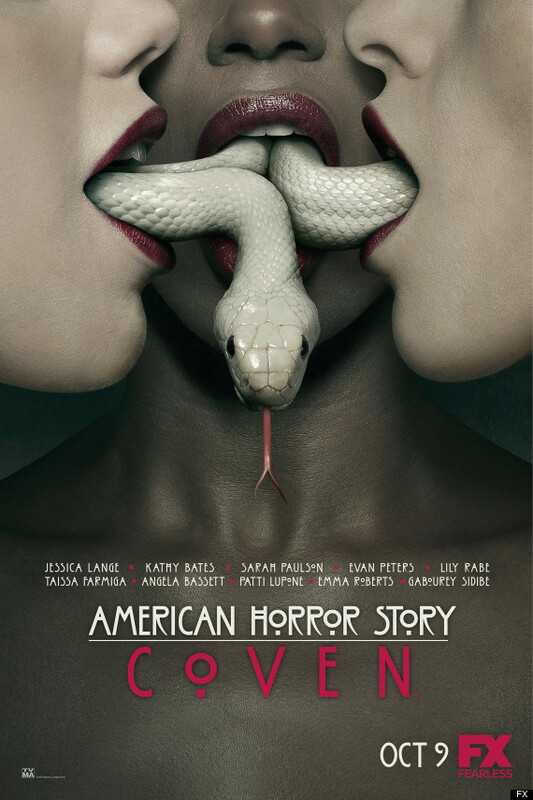 I love that American Horror Story is an anthology television series and was excited to close the door on AHS: Asylum and start fresh with a brand new story in AHS: Coven – especially since Kathy Bates and Angela Bassett joined the already stellar cast (also, witches are totally in right now – zombies, whaaaa?) The first episode, the aptly named “Bitchcraft,” felt refreshingly stylish and modern (a stark contrast from the dark and antiquated feel of the first two seasons) and I nearly passed out from excitement watching Kathy Bates play the insanely evil Madame Delphine LaLaurie – murderous socialite from 19th century New Orleans . The young witches, Zoe, Madison, Queenie, and Nan played respectively by Taissa Farmiga, Emma Roberts, Gabourey Sibide, and Jamie Brewer are fun to watch (Zoe’s “power” made me slightly uncomfortable) and I’m ridiculously excited to see how New Orlean’s Voodoo history ties in – this season seems to have big potential! Don’t mess with the Supreme witch. Asylum’s aliens were a little too much for me. Looking forward to Coven and like you said, seeing how New Orleans’ voodoo roots wind their way into the modern witches’ stories. Not to mention Madame LaLaurie! One that’s fascinated me since a ghost tour through the French Quarter 10+ years ago. Re: Zoe’s “power” — I found myself thinking she better hope Cordelia can whip up a nice remedy to what she might contract bedding a comatose scumbag frat boy. I forgot to respond to this, but I totally agree about the aliens in AHS: Asylum. The season already had so many story lines, and the whole alien thing just turned me off completely.